Do you desire an OBD2 scanner that can identify any errors in your car systems? Launch X431 OBD2 Scanner will be your solution. 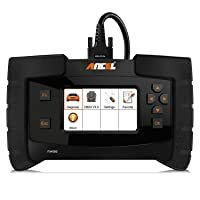 This Launch X431 scanner and code reader is constructed such that it can be used by regular mechanics and auto repair shops. Your car has many electronics working together to make sure that it runs properly and safely too. 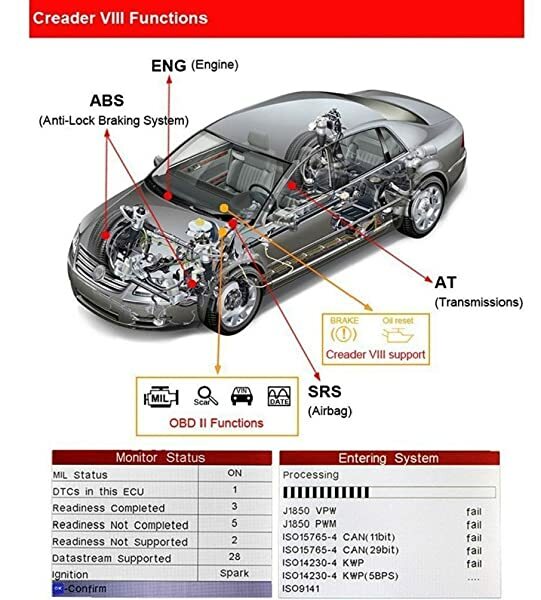 Examples of these are the Anti-Lock Braking System (ABS), Supplemental Restraint System (SRS), airbags, transmission system, and engine assessment systems. This code reader can collect data from these systems, display it for you and allow you to correct and delete errors too. The Launch X431 OBD2 scanner is a compact, easy-to-hold, sturdy reader. 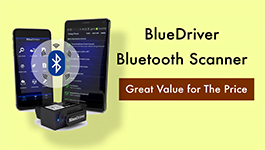 It can identify error codes from virtually any electronic system in your car. In addition to that, it can shut off the ‘Check Engine’ light so as to eliminate distraction. This code reader is manufactured by a company known as Launch Tech that was established in 1992. 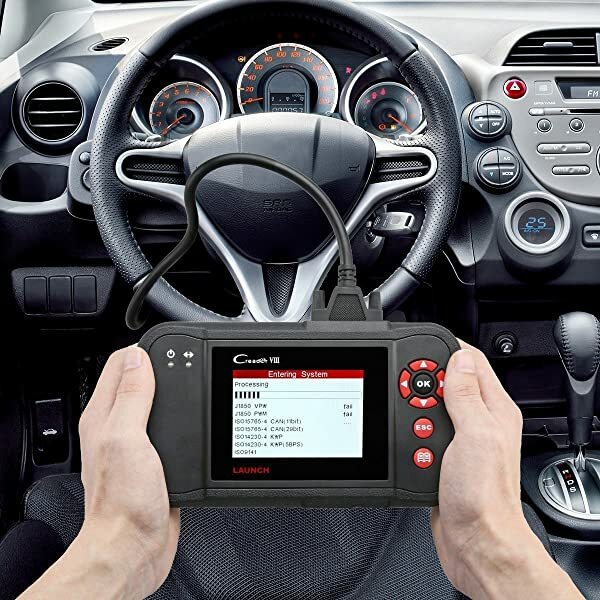 With the scanner which can also perform a total of 4 system diagnoses and 3 special functions in hand, you can reach, read and assess quite a huge variety of car information. 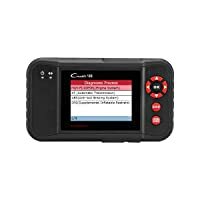 The hand-held reader can perform system diagnoses on the ABS, transmission, Engine and SRS systems. It can also perform an oil reset, SAS and EPB reset, too. Furthermore, it has complete OBD2 functions that work in 3 steps. Launch X431 offers full OBD2 functions. 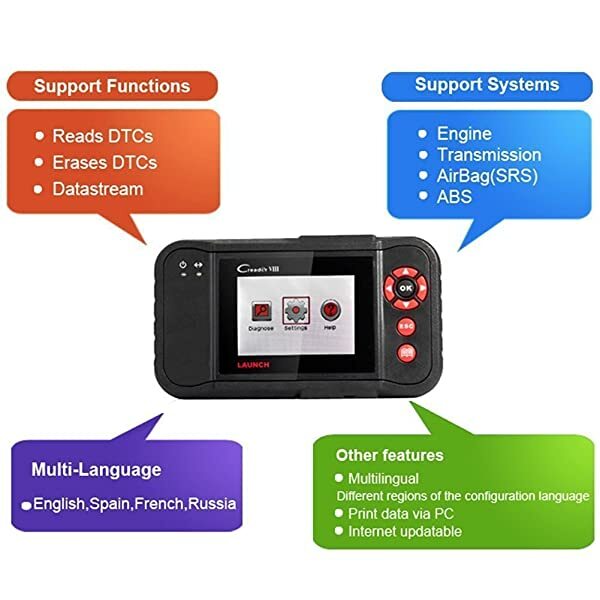 The first step of the OBD2 functions is that it retrieves any error codes which could be causing the ABS, SRS, transmission or engine to be running improperly. Secondly, you can use the device to eliminate any troublesome codes hence shutting off the ‘Check Engine’ light. In the last step, it displays and streams graphical data to help you perform a clear analysis of the systems. This is a professional-level automobile scanner which can scan all 10 OBD2 modes. Thanks to this feature, you can perform all-around fixes for your car and also comprehensive tests. 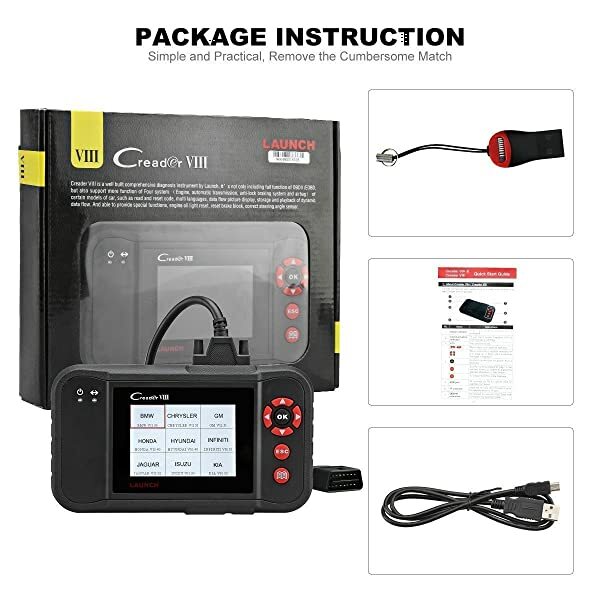 This makes the device ideal for car technicians, automobile repair shops and professional mechanics. The Launch X431 OBD2 scanner has a huge range of functions. You can use it to read and delete DTCs, analyze a live data stream, check your emissions or I/M readiness and also test your O2 sensor. The code reader can also display data in a graphical way, act as an active on-board monitor system and also display controls and data in any language you desire. This code reader has some functions which are unique. It can reset the Steering Angle Sensor (SAS), reset the engine oil light and also reset the Electrical Parking Brake (EPB). Many other OBD2 models in the market cannot perform these functions concurrently. For beginners and regular car owners, this code reader is easy to use, therefore, you no longer have to boot it up before diagnostic work. For you to use the device, all that you have to do is plug it in and play. For it to perform error tests, the device relies upon a huge database of software that has already been downloaded into it for you. 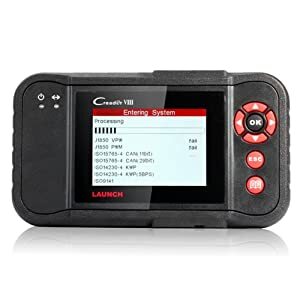 Should you need to update it, you can simply read through its Quick Start guide and you will be immediately able to refresh the car type software and perform more scans. The unit is compatible with various versions of Windows such as XP, 7, 8 and 10 too. The oil change light normally blinks once you have reached the limit of your service mileage. In this case, you can use the Launch X431 OBD2 scanner to turn the oil change light off once you perform the required oil change. The Launch X431 OBD2 scanner saves you a costly trip to the garage. After replacing your old brake discs with some new ones, you can use this code reader to reset the Electronic Parking Brake (EPB). This helps your car’s systems to recognize the new parts. Afterwards, your EPB system should work smoothly just like before. If you replace some parts in your steering system, you need to reset the Steering Angle Sensor (SAS). You can do this using OBD2 scanner so as to calibrate the steering angle sensor. This also assists to match the new thrust line of your vehicle after alignment. A major advantage of this code reader is that it is compatible with many different car models. It can work with most models released after 1996. 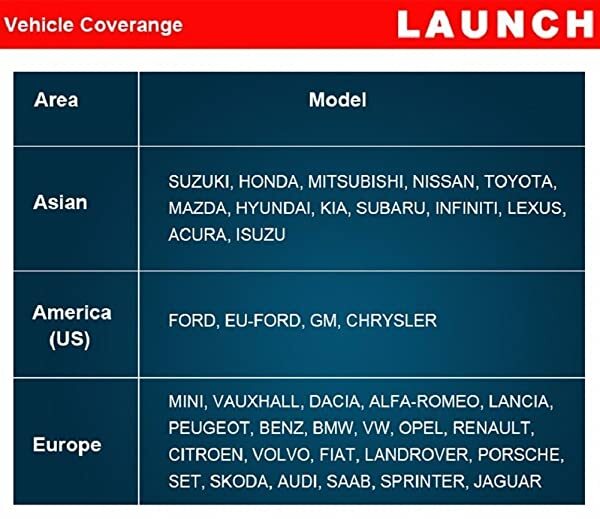 Some examples of these are Lancia, Peugeot, Honda, Mitsubishi, Mazda, Toyota, Chrysler, Dacia, Vauxhall, Mercedes Benz, BMW, Isuzu, and Jaguar. Some consumers have complained that the Launch X431 OBD2 scanner did not work as required. They got the device, plugged it into their cars but it did not function. The disappointed consumers than simply sent the reader back. Cons Possible Problems of Compatibility (should check carefully before buying). Possible Compatibility Problems. Doesn't work on some car models listed as compatible. Bottom Line Launch Creader VIII is a fast and efficient scanner designed for Beginner Mechanics and Experienced Enthusiasts. 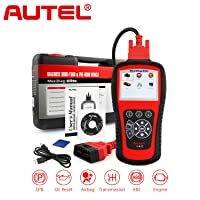 Autel MD802 is for experienced DIYers and enthusiasts. ANCEL FX4000 is for experienced enthusiasts or DIYers. This scanner and code reader is constructed such that it can be used by regular mechanics and auto repair shops. This is due to its ease of use. Since it can perform a wide variety of tasks, you can use it to scan vehicles on a daily basis. This code reader is a highly user-friendly diagnosis device. Its features make it highly user-friendly and it can work with a variety of car models. Once you buy it, you can enjoy a long warranty period and client support too. In this article, I will tell you about the reasons why SRS light (Supplemental Restraint System light) is on and how to turn it off.